Sports fans will love living this close to campus. Both Mizzou Area and Faurot Field are a few minutes’ walk from your student housing, so you’re well placed to watch basketball, wrestling and football, as well concerts by international performers. If you’re more into art than athletics, check out Columbia Art League gallery, which hosts local art exhibitions and runs regular workshops. On sunny days, get some fresh air on the trails at Grindstone Nature Park, then meet friends for dinner at Shakespeare’s Pizza, followed by a movie at Ragtag Cinema or live music at The Blue Note. 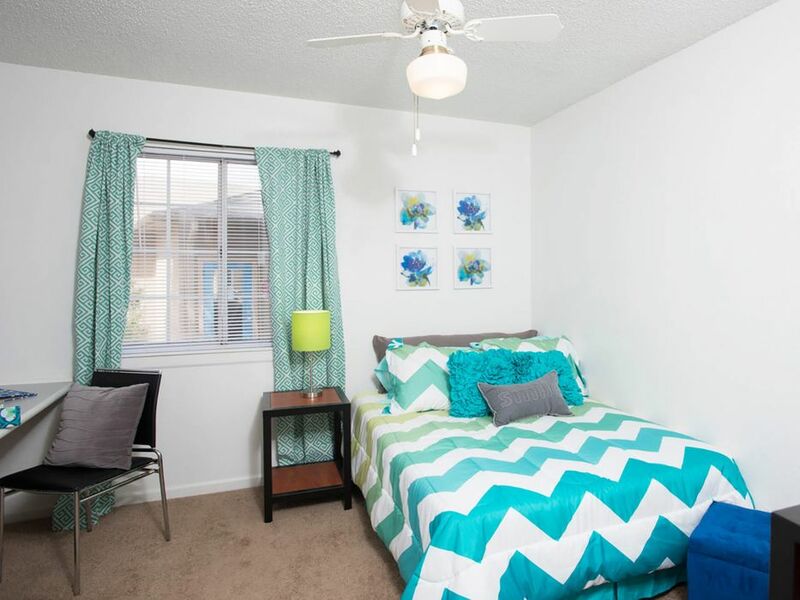 You’ll enjoy a quick and easy commute when you live at Campus View. The private bus shuttle runs to the University of Missouri every 15 minutes throughout the day, and there’s a late-night service that takes you to-and-from downtown Columbia. If you have your own transport, you can drive to campus in around four minutes, or go by bike and get there in 19 minutes. When you get back home to Campus View, drop in at the clubhouse or TV lounge to see who’s around. If you’re hungry, grab a snack from the full kitchen, then get together with friends to watch TV, play pool or listen to music. If you’re feeling energetic, head outside to play tennis, volleyball or basketball on the full-size courts, take a dip in the resort-style pool, or lie back and relax on a poolside lounger. When you need to concentrate on college work, pick up a free Starbucks coffee from the lobby, then get to work in the computer center, where you can print your work for free. If you’d rather work in the privacy of your own room, all apartments have internet connections, which comes in handy when you need to research your latest project. When you’re finished working, join your roommates for dinner. 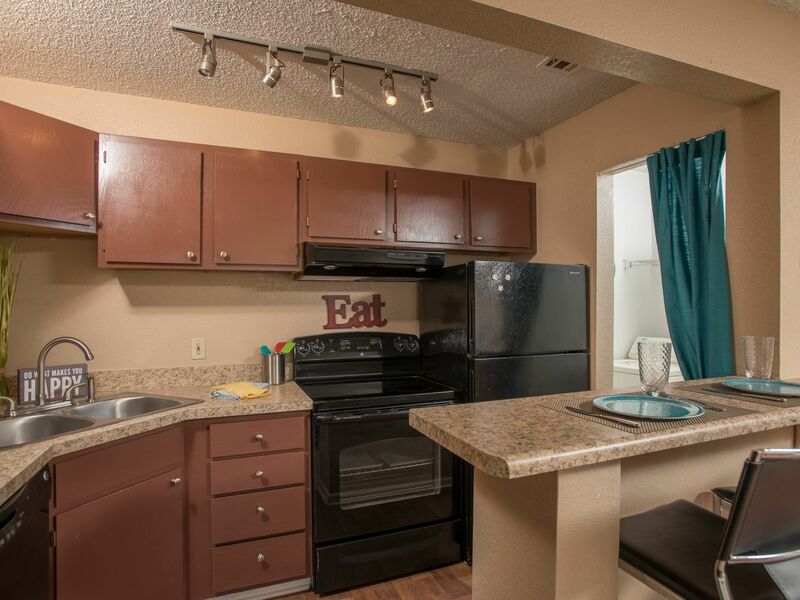 You’ll find everything you need to cook your favorite food in the fully-equipped kitchen, including a refrigerator, microwave and dishwasher. Take your plate out onto the balcony, or relax on the sofa and watch cable TV — there’s air-conditioning and ceiling fans to keep you cool when the temperature rises. 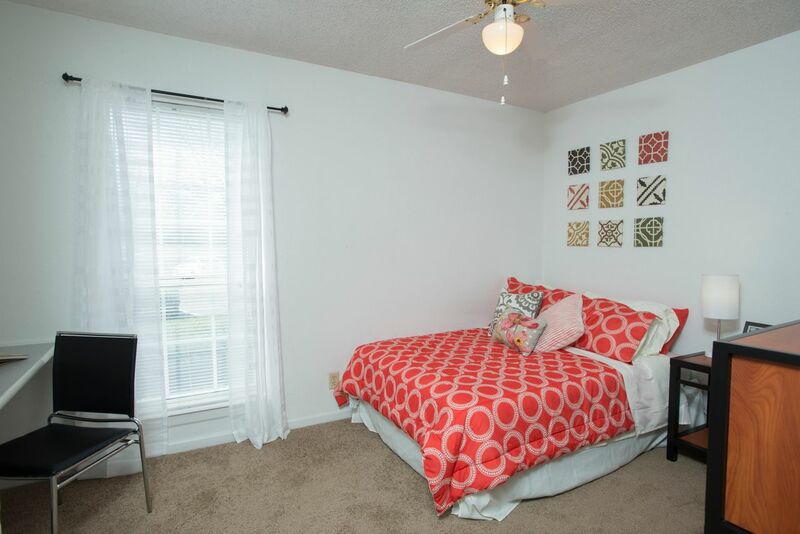 We couldn't find a room that matches your preferencesView all Private Room in Campus View.